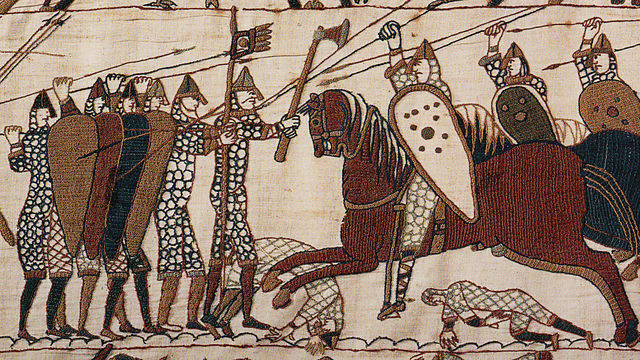 Abstract: The Battle of Hastings (1066) is one of the most widely studied battles in medieval history. Yet despite the importance that research shows geography to play in the outcome of such conflicts, few studies have examined in detail the landscape of the battle or the role the landscape played in its eventual outcome. This study, consequently, seeks to assess the impact of geographic factors in understanding the events that shaped the Battle of Hastings. The analysis was undertaken using a geographic information system (GIS) with qualitative and quantitative techniques. Historical and current data combined in a series of detailed state of the art maps are used to bring an entirely new perspective to the nearly millennium long literature on the battle. Factors considered in the study included variables associated with mobilization of the respective armies, the topography and land use at the time of and since the battle, population, food/animal sources, metal resources, water, and the location of the battle. The final section of the thesis provides a detailed cartographic discussion of the development of the battle itself. Among the findings of this thesis were that location was indeed important in the mobilization of the armies, that the local topography has not changed significantly since the battle, that the distribution of resources available to the armies varied spatially, and perhaps most importantly, that there may exist at least one viable alternative battle site to that on Battle Hill. Introduction: Despite this conventional wisdom, few historians have conducted comprehensive examinations of the role of geography in determining the outcome of wars conducted during the medieval period. This contrasts markedly with the numerous studies that have relied on geographic analysis to understand the agricultural production of the time. As a partial remedy to this deficiency, and following Bucholz and Key’s proposition, this study will seek to apply geographic analysis to an understanding of human history. Specifically, it uses geography the “science that deals with the earth and its life; especially the description of land, sea, air, and the distribution of plant and animal life including human beings and their industries” to reinterpret the historical events associated with one of the most notable battles of medieval times: the Battle of Hastings, fought in England in the year 1066. The Battle of Hastings was selected for this study because: 1) it is one of the single most important events in British history as the last time Britain was successfully invaded by a foreign power; 2) there are numerous descriptive accounts—including contemporary observations—of the battle providing a significant source of data; and most importantly, 3) there are few detailed reconstructions of the battle and none that utilize geographic data or methods that assist us in understanding its ultimate outcome. This study thus fills a significant void in the existing literature from the past 1000 years.